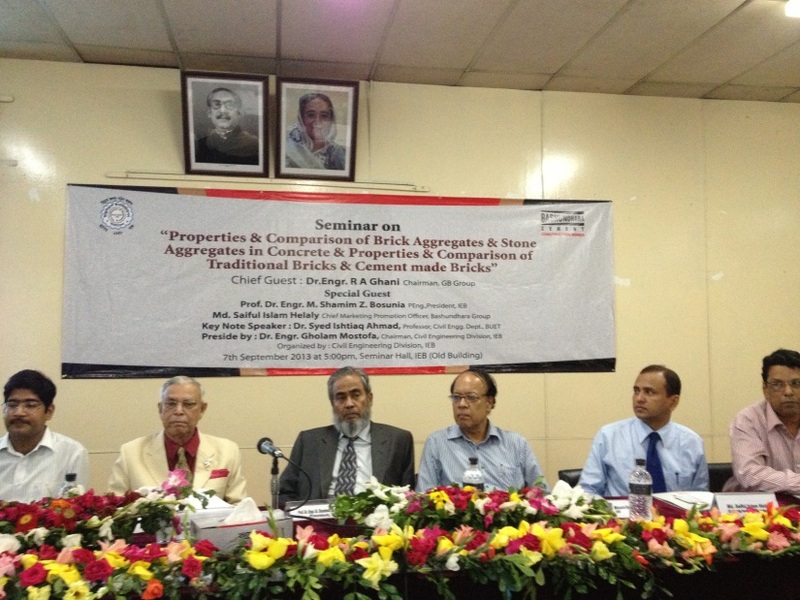 A technical seminar on ‘Properties and Comparison of Brick Aggregates and Stone Aggregates in Concrete and Properties and Comparison of Traditional Bricks and Cement Made Bricks’ at the Institution of Engineers Bangladesh (IEB), jointly organized by Bashundhara Cement and IEB Civil Engineering Division. IEB Civil Engineering Division chairman Dr Engineer Golam Mostafa presided over the program where GB Group chairman Dr Engineer R A Goni was chief guest. Renowned engineers also said cement-made brick is environment-friendly and, on the contrary, the traditional process of making the building material is harmful to environment and the country’s economy. They also called upon all the environment conscious people to use cement made brick for their construction works, adding that the traditional brick is harmful for the environment and not viable economically. A lot of carbon mixes with air during burning the brick which pollutes the environment alarmingly, they added. Bashundhara Group Chief Marketing Promotion Officer Md. Saiful Islam Helaly expressed hope that Bashundhara Cement would ascend to the top position of the country’s cement market by 2015.